This week we have another SPARK business blog post. Leeds student Jumana talks about setting up her Retrasafe – an award winning ladder stabiliser business. I started my business with my partner two years ago after my first year at Leeds. This was my first business venture and so had no clue what to do. My partner had a problem trying to use his ladders safely in many places so we decided to tackle the problem that many others also struggled with. We had designed a retractable ladder stabiliser and set up Retrasafe to make and sell the stabiliser systems. We launched the product a year ago and the product has won British Safety Industry Federation Commended Award for Product Innovation in 2016 and was a finalist for Association for Project Safety Health and Safety Innovation Award 2016. We have done exhibitions both here and abroad and have got a lot of interest around the product from small and big companies. I also got to visit the House of Commons and meet the Duke of York when I won the Duke of York Young Entrepreneurs Award 2017. We have now got a couple of different products that we are marketing and selling. In this post, we are discussing resilience, and why it is such an important skill to take from your placement, internship or graduate job search. It’s a skill that is not only useful in the job-hunt process and professional life, but in day-to-day life as well. Read on to find out why. The job-hunt process – a thought to strike fear into any sane finalist. For many students, job applications will be their first experience of real, actual failure. You thought that stellar academics and hard work would land you the job of your dreams. But the real world is more complex than that and, fifty applications down the line, things aren’t looking good. You feel lost and powerless; the last thing you want to do is write another cover letter. The answer? Knuckle down and get on with it. Because the first thing this experience should teach you is the importance of resilience. It’s best to start researching your options early and plan your time according to the options that seem best fitted to you. Because there are so many opportunities for second years, (placement, year abroad/in industry, summer internships, vacation schemes, part time work) you could easily become overwhelmed. Doing a bit of research on these options will help you get a head start and a better understanding of what’s out there for you. Getting experience that is relevant to your degree or chosen career is better, but any experience will help you develop your skills and aid your future decisions. Checking the Careers Centre website, MyCareer and Joblink is a good place to start, and if you have further questions you can always come by the Careers Centre and attend a drop in session for additional guidance. 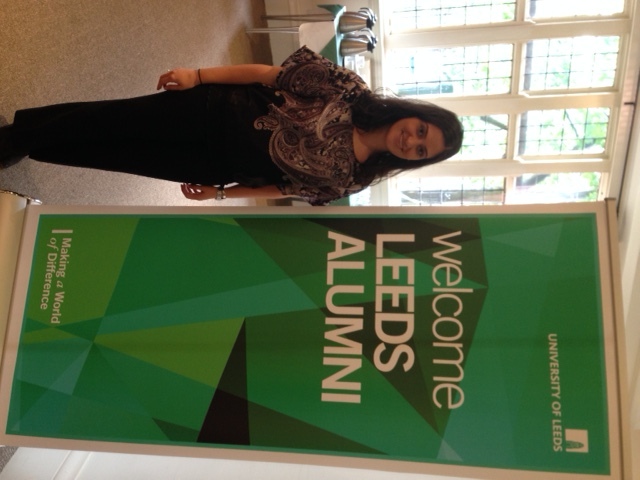 Andrea Manouchou studies Management and is currently on an industrial placement with the University’s Alumni Department, where part of her role involves promoting the Leeds Network. In this post she outlines the value of networking and how the Leeds Network can help you access insights, tips and advice from Alumni of the University working in your sectors of interest. Networking is extremely important for our generation. It is one of the best ways to acquire career information or words of wisdom from experts in the sector that interests you. Contacts made through networking have now become more important than ever before. LinkedIn, a professional networking tool, now has over 380 million users, proving how valuable networking is. And now is the best time for you to start networking as well. In this guest post Simon Briffa, Internal Talent Manager at The Sellick Parnership, shares his tips on how to stand out from the crowd in the graduate recruitment market. So you want a career in social media? Last week Lisa Jones of Barclay Jones delivered a really insightful session for students interested in careers in social media. Lisa shared her experiences of recruiting recent graduates to social media roles as well as some great tips and advice for those interested in this career area.